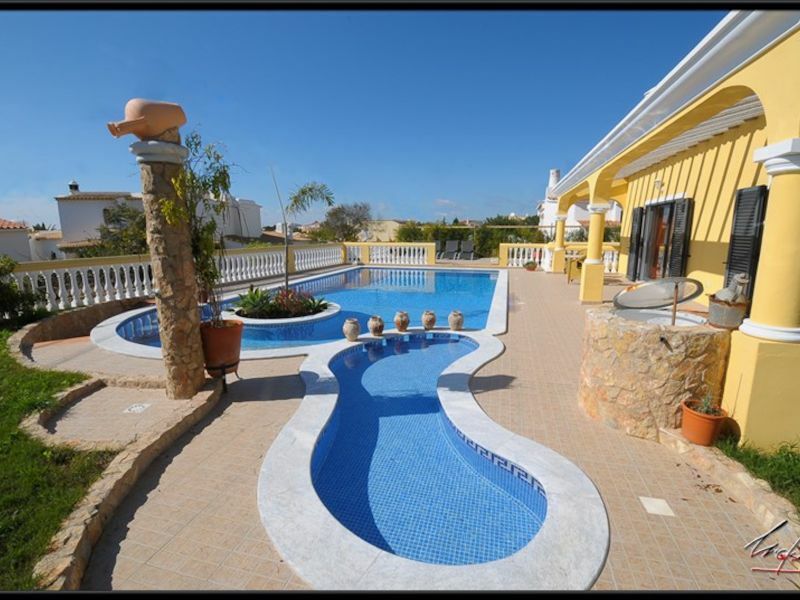 Luxury villa near Armação de Pera, with a private swimming pool, air conditioning and wifi internet. 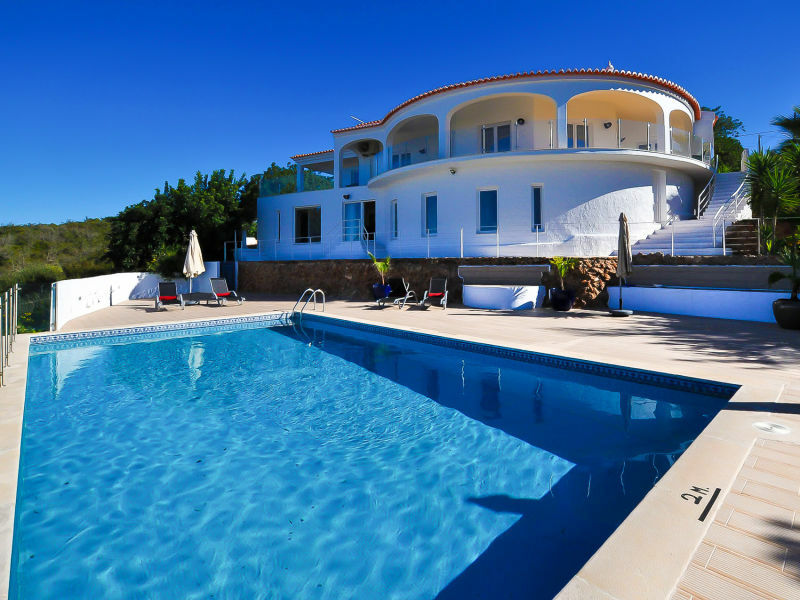 Beautiful villa with 9 bedrooms and 7 bathrooms, accommodating comfortably 20 persons. Let your spirit fly with the best view in the Algarve. Dream villa with separate outbuilding. Luxury for friends and family. A paradise for children. 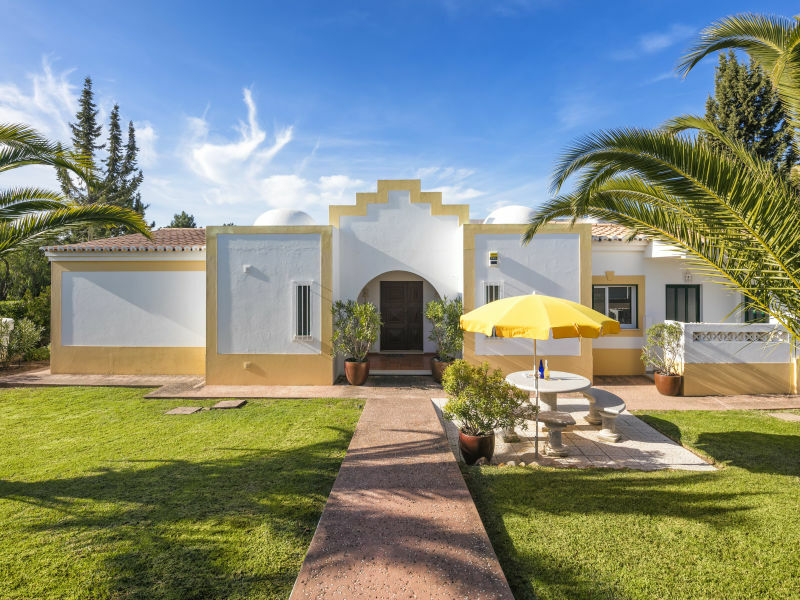 Villa Cegonha is located in Cerro de São Miguel and stands on a hill facing the small, charismatic and historic city of Silves, in Algarve. 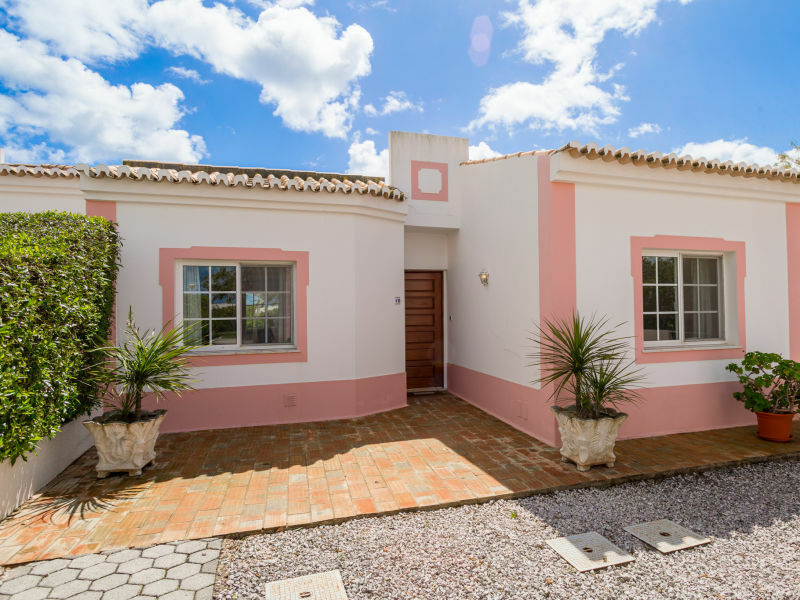 Delightful 2-bedroom residence located in the resort of Quinta do Rosal with a capacity for up to 4 people. 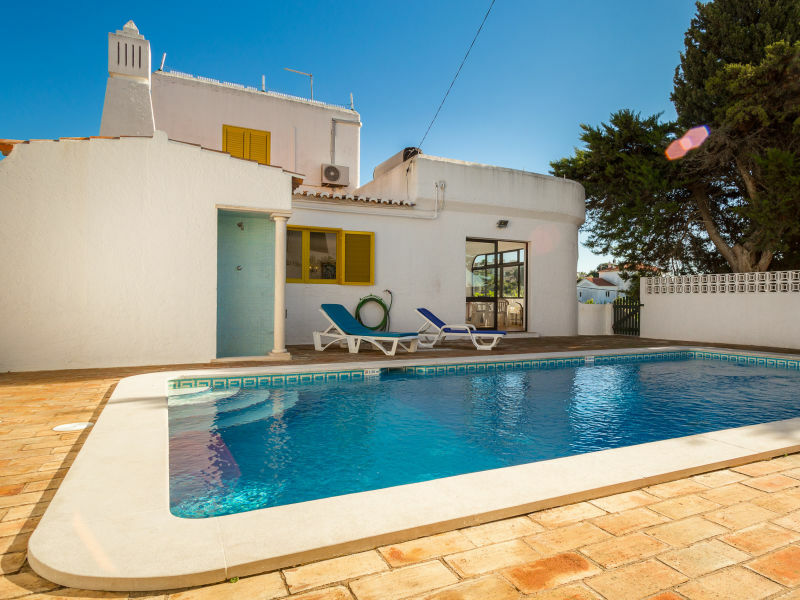 Casa Santalena is a beautiful villa with swimming pool, Wifi, air conditioning and 3 bedrooms, in a great location near to Carvoeiro. 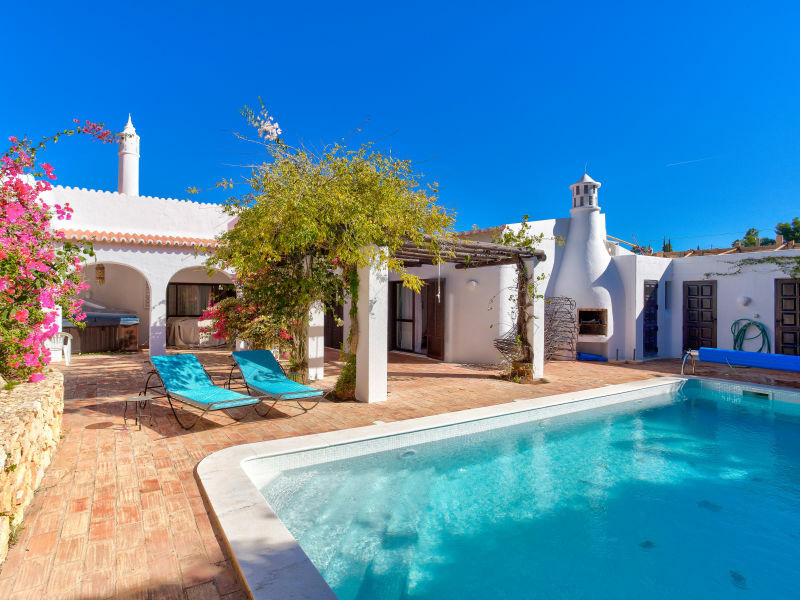 Casa Prazeres is a beautiful, cozy villa with private swimming pool, barbecue, Internet (Wifi), air conditioning and 4 bedrooms. 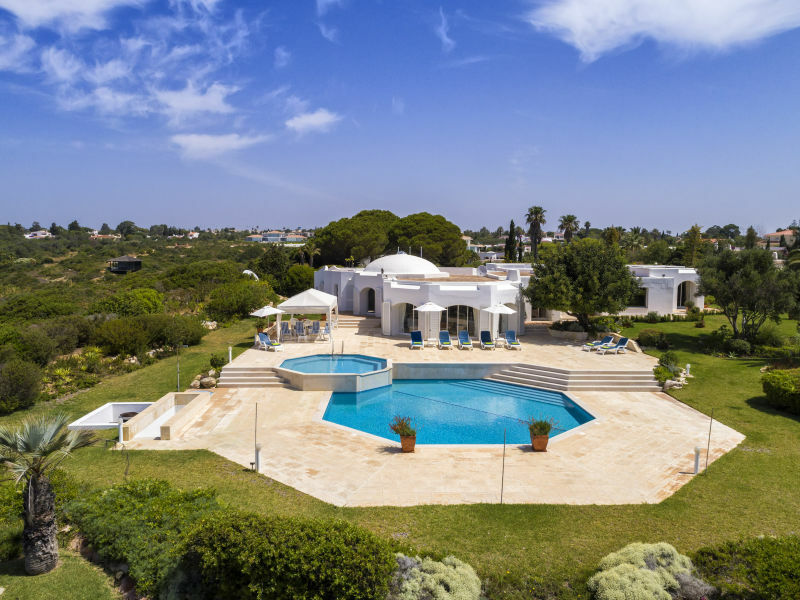 The Villa Pequena Torre is built in Moorish style with a a large pool terrace with sea view and a lovely garden. Beaches and golf courses are nearby. 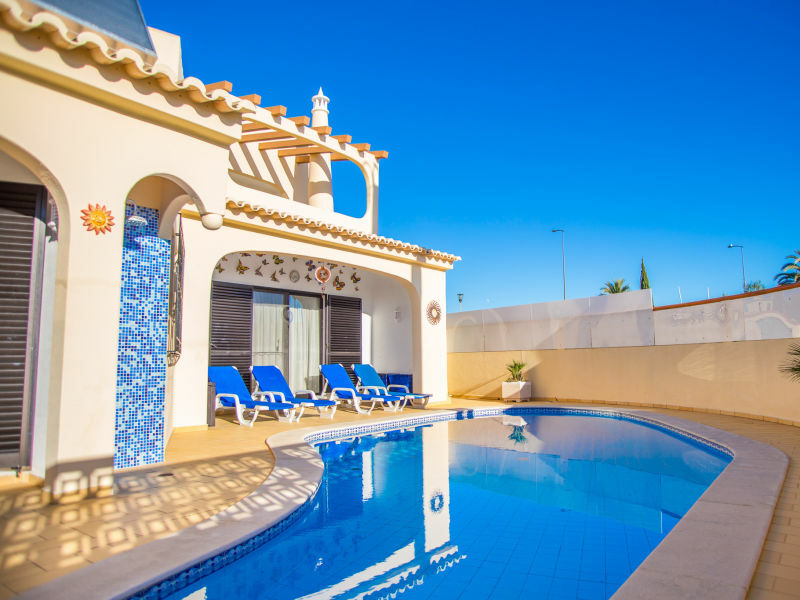 This recently refurbished villa has been tastefully furnished inside having three bedrooms and sleeping 6. 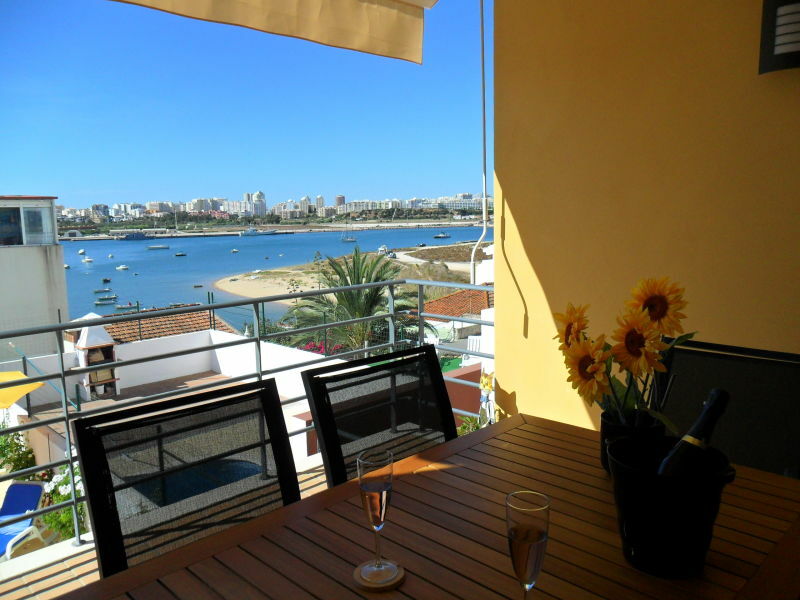 It is cosy and spacious with 151m². 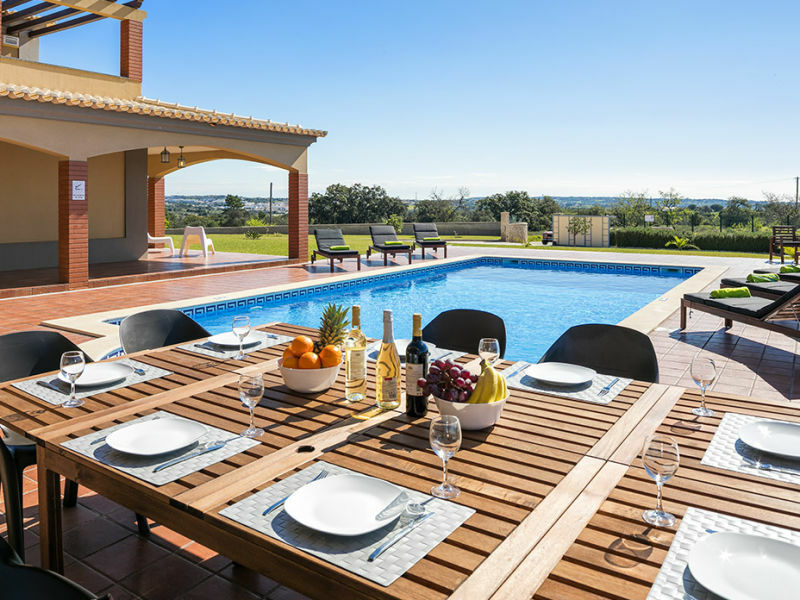 Wonderful fully-equipped villa with a capacity for up to 8 people. 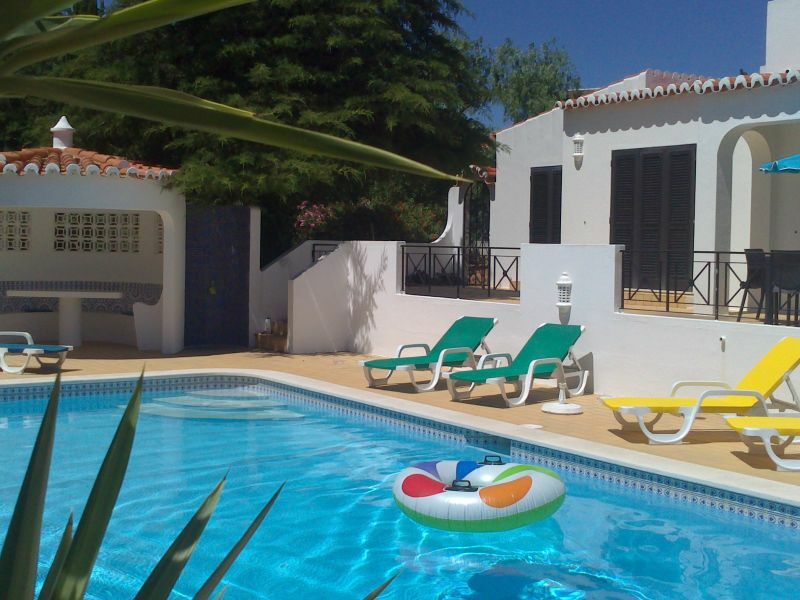 Located in beautiful Carvoeiro this villa is great for the perfect holiday. 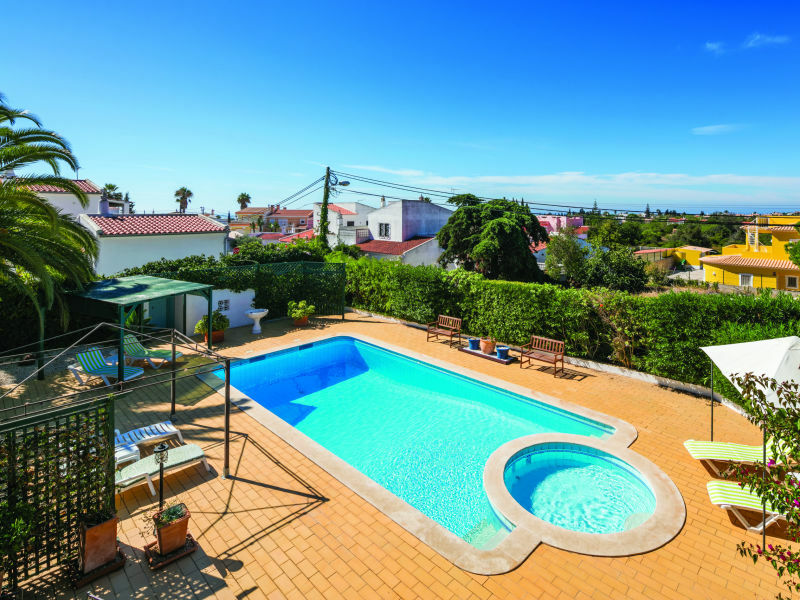 Typical, Portuguese villa with a private, heatable swimming pool situated near the center of Carvoeiro. 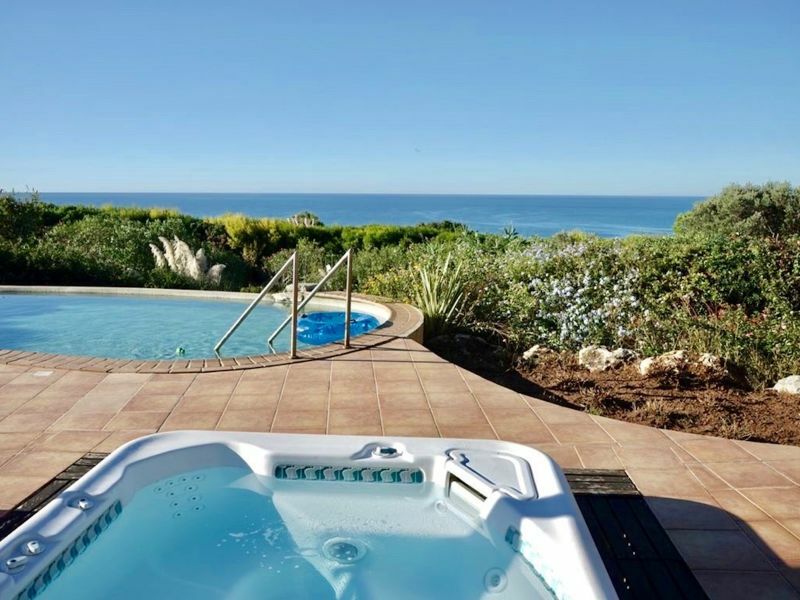 Wonderful villa in a quiet location with sea view, large swimming pool, 1,300 m² garden, near the beach and sea and the golf course Vale de Milho. 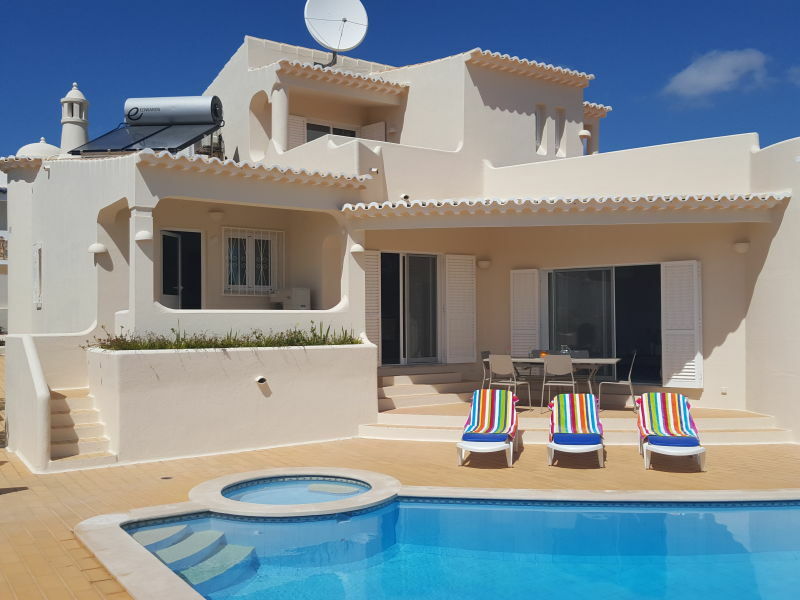 Bright and lovely holiday villa with private pool and a capacity for up to 6 people located near the town center of Carvoeiro and near the beach. Private holiday home with an enchanting ocean view. 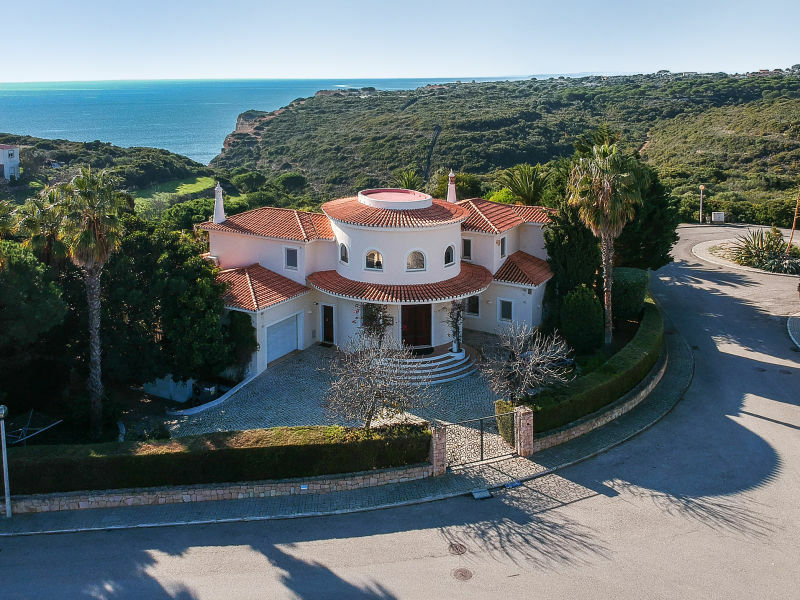 The house -built in the Portuguese-Moorish style- is situated on a 5000m² large, natural property. 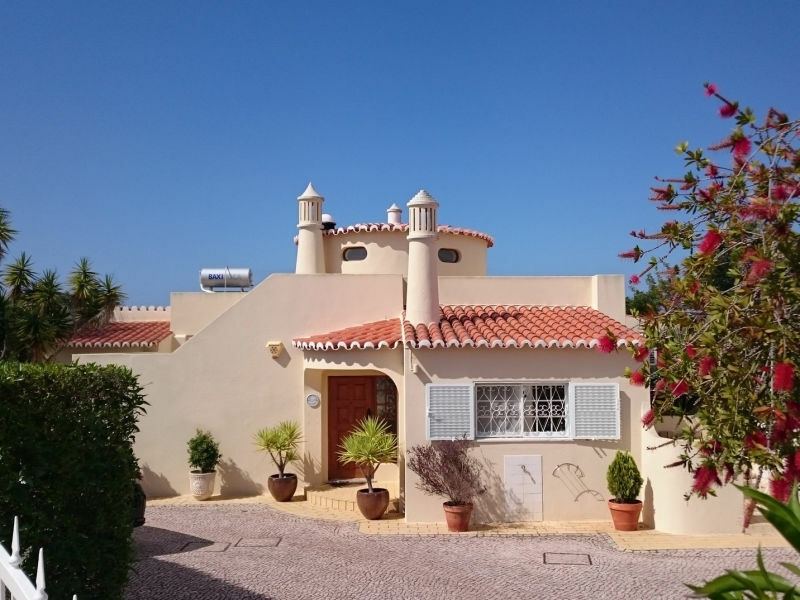 Sie haben noch nicht your Villa für Ihren Urlaub in Silves gefunden? Dann schauen Sie sich einfach alle 9 Ferienwohnungen und Ferienhäuser in Silves an!